Spring has been slow to arrive in Virginia this year, but maybe that’s been good for bird watching. 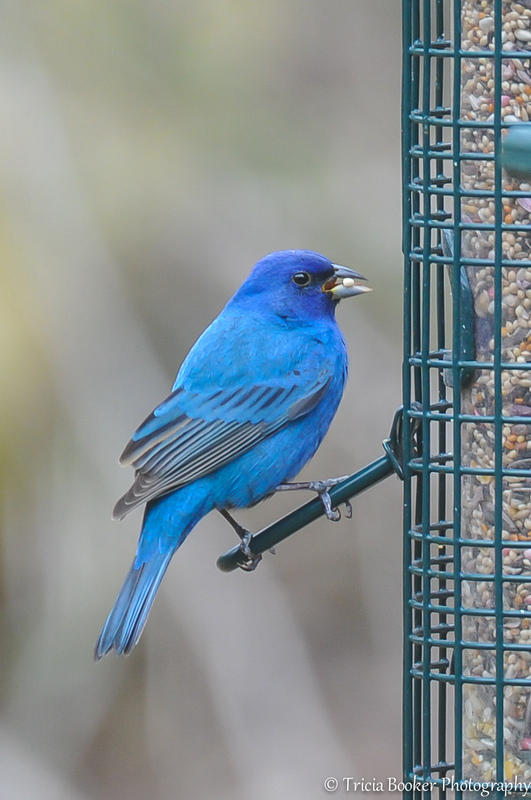 I’ve been fortunate to entertain some new species this month at the feeders, including a flock of Indigo Buntings. Today, they hung out at the feeders for several hours on a cold and rainy morning, and I was able to catch a few photos in between the thunderstorms. I’ve seen these beautiful blue birds pass through during previous years, so I have to think that the difference now is the bird seed that I’m using. Thanks to my Amazon Prime membership and free shipping–even on 20-pound bags of bird seed!–I’ve had the opportunity to try different brands and types that I don’t typically see on the local store shelves. This latest purchase, Wagner’s Greatest Variety Blend, seems to be the winning formula. In fact, as I type, there are more than a dozen different bird species on or around the feeding station all digging in to the seed, thistle and suet. From the bright blue Buntings to the yellow Goldfinches, the red Cardinals to the black-and-white woodpeckers, along with the rich and varied sparrows, wrens and towhees, it’s a colorful show that keeps me entertained, especially on deadline days. Some of my friends wonder how I can work from home day after day with just the dog to keep me company. Well, in reality, this environment is more like an office than most would imagine. The birds often squabble over the food in the “refrigerator,” vie for the best seats at the “conference table,” and try to speak louder than their office mates over in the next “cubicle.” But as long as I keep the feeding stations full of their favorite food and the bird bath filled with fresh water, no one need ask me for a raise! Thank you very much Ana Lucia! I agree, Sarah! It’s a bird I don’t see all that often, so it’s been a real treat. So amazingly blue! We share the same aviary visitors. 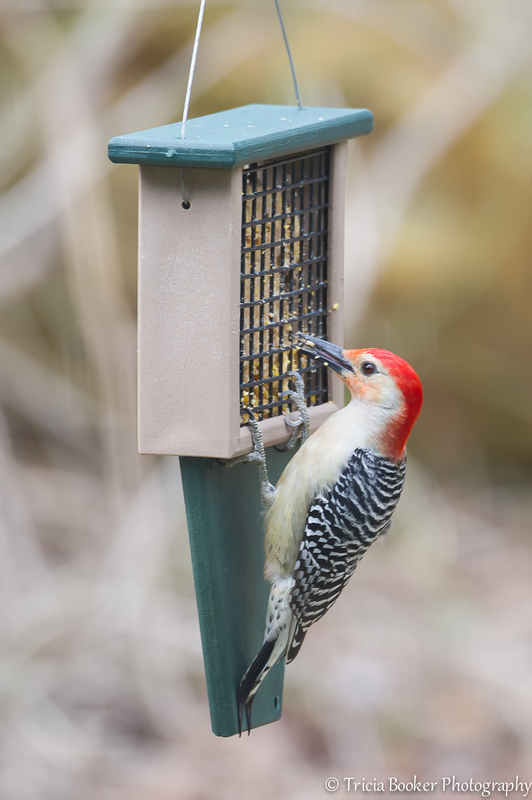 Great capture on both–my latest joy is the red-breasted grosbeak. Do you have them? They’re remarkably beautiful. I have a small pond in a wooded area near the bird station. I’m sure that helps. Wow! Now that’s blue! Fantastic shots. Gorgeous photos. I’ll have to try some new bird seed . . . I seem to have the same birds over and over.